Not all cookware items can literally last forever. 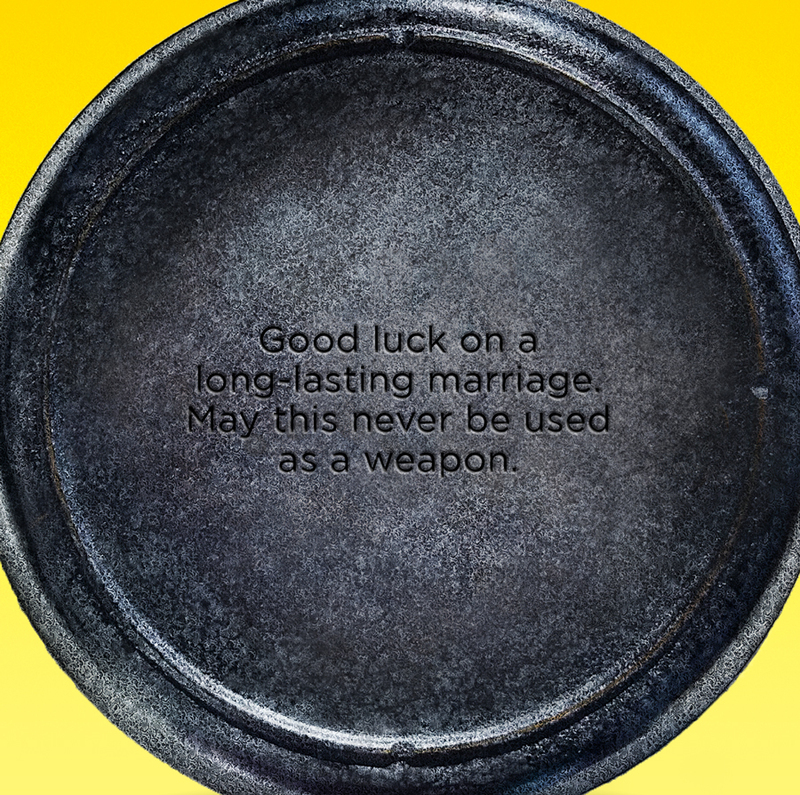 To extend the long-lasting concept, we felt a Lodge cast iron skillet would make the perfect wedding gift. With a twist. In case the customer can't think of anything to write, we came up with a few suggestions.